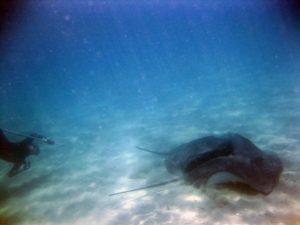 For my PhD project I used passive acoustic monitoring to define nursery areas, habitat use, and movement patterns of tropical rays within Ningaloo Reef marine park in Western Australia. 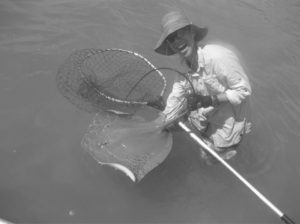 I also assessed the applicability of genetic barcoding to identify 16 species of tropical rays and used an Ecological Risk Assessment framework to assess the vulnerability of tropical rays to the risks of fisheries and habitat degradation, and to identify reasearch priorities for tropical rays in the Indo-West Pacific. 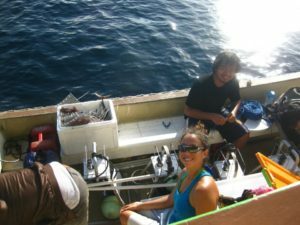 Within the elasmo team, we participated in other projects with various species of sharks and mantas. The project was at Charles Darwin University, in collaboration with CSIRO, funded by AIMS and CONACYT. 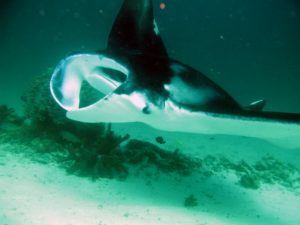 Photos, tagging and sampling coastal mantas at Ninagloo Reef Marine Park, Western Australia for long-term monitoring at the Coral Bay Research Station. Using remote underwater videos to estimate abundance and diversity of reef sharks and rays in a network of marine protected areas within Raja Ampat, West Papua, Indonesia. Bird’s Head Seascape at Conservation International-Indonesia. 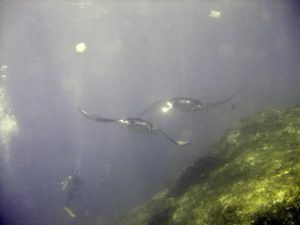 Establishing a photo-ID library of mantas in Raja Ampat to study their populations and migrations through a collaboration between the Indonesian Manta Project and Conservation International-Indonesia. 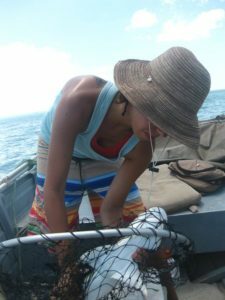 Using whale sharks’ spot patterns to understand their populations, residency and movement patterns through pictures at Ningaloo Reef, and taking tissue samples to understand genetic population structure in Baja with Whale Shark Mexico.